I’ve mentioned that I’m stuck with my least favourite lens, the 14-42mm f3.5-5.6 That variable aperture is highly annoying, so I just leave it at 5.6 and don’t have to worry about trying to remember the shutter speed when I’m zooming in and out while shooting to maintain exposure. But at f5.6 pretty much everything is in focus!!!! Ahhhh!!!!! That’s not what I want!!!!! I want those lovely blurry backgrounds from where my subject pops immediately. Well, technically this is impossible with my current lens, because I’d need at least f2 or brighter lens to achieve that. With Olympus, f2 is the brightest you can go as opposed to f1.2 or f1.4 on Canon/Nikon. OK, so how to get around it? 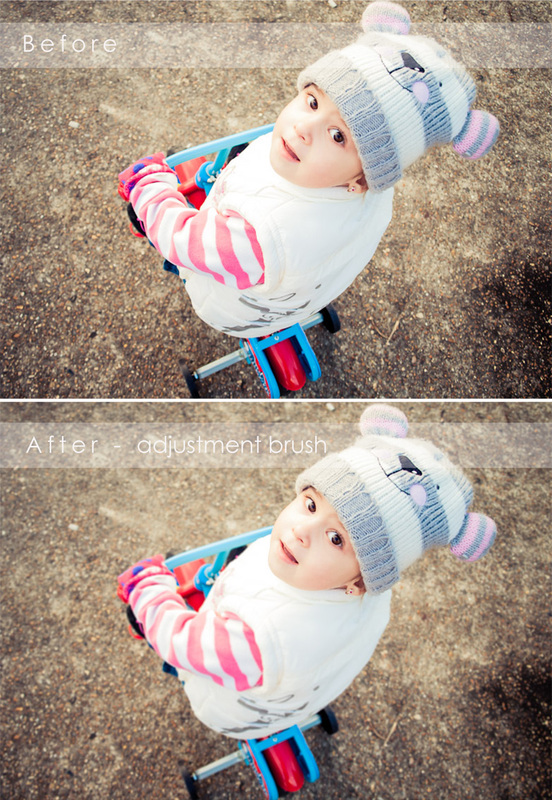 The answer is: fake it in Lightroom!!! Same thing with the Gradient filter. Hit M for the filter and again zero out everything and pull the sharpness slider down to -100. Now here comes the good part: have you heard of Edge 80? OMG, that’s the next Lensbaby that I’m going to get when funds will be available for sure. I love what it does with a small slice of focus across the image. 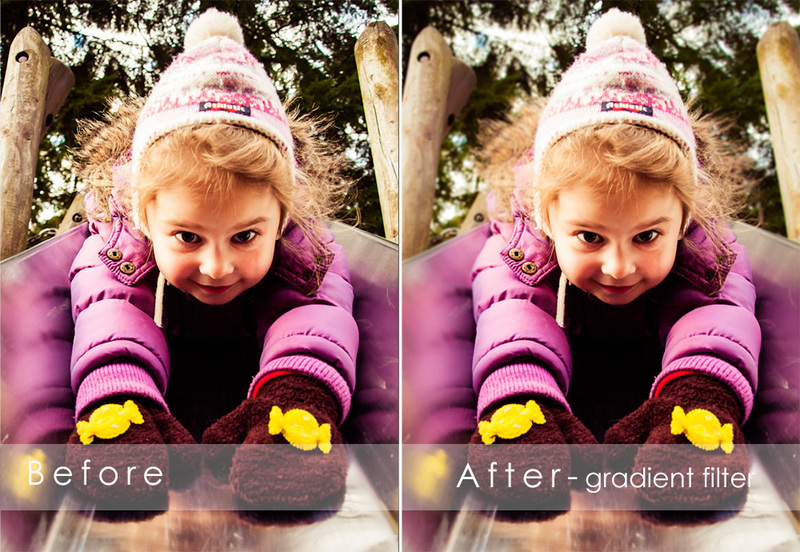 You can achieve the same effect in Lightroom with the Gradient filter. You can set it horizontally, vertically, diagonally, however your heart desires and you can easily imitate what Edge 80 does in real life. Remember, you can always apply the brush and the filter several times on the same part of the image, depending on how much blur you want. You might add -100 Clarity to the -100 Sharpness and see what that does. There is plenty of room to experiment and play around. 18 Feb	This entry was published on February 18, 2013 at 14:43 and is filed under Children, Families, Lightroom, Personal, Photo shoot, Tutorial. Bookmark the permalink. Follow any comments here with the RSS feed for this post.